Chris has great form on her serve. 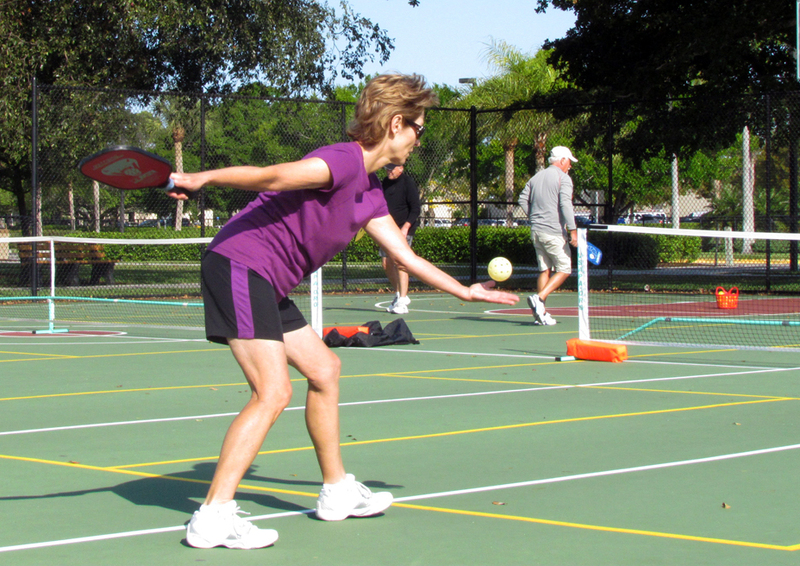 See how the paddle at the top of her back swing is in line with the ball and parallel to the ground . As she drops the ball her arm will come forward in an upward arc to make perfect contact with the ball. If you look at her feet, her weight is on her back foot at the top of the back swing, knees slightly bent. She will transfer her weight to her front foot as she makes contact with the ball. She never takes her eyes of the ball. I don’t think I have ever seen her miss a serve.